Categorieën: Van der Gang, Van der Gang. 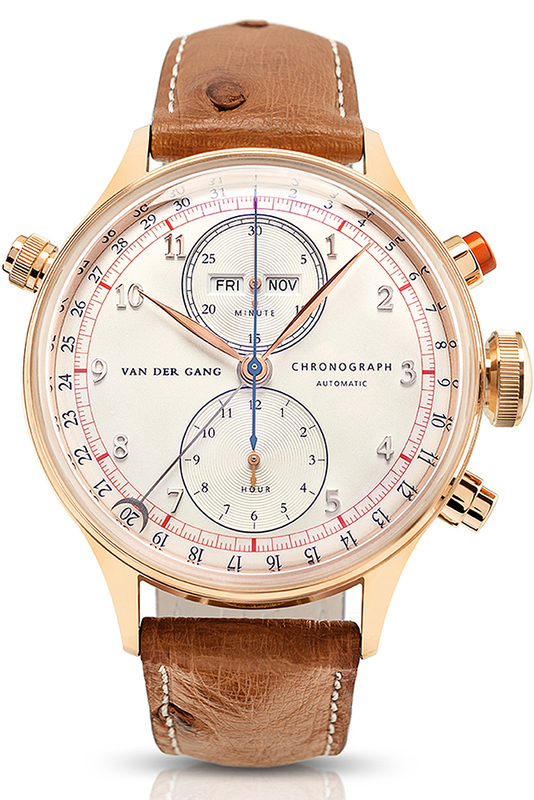 Fourteen years after the introduction of our initial Van der Gang watch, the ‘Original’, Van der Gang Watches launches its successor: the 20052. This new and updated design by Wybe Van der Gang perfectly portraits the change Van der Gang Watches has gone through over the past years. The new model, inspired by our Original, is a blend of innovative technique and perfectly balanced design. Resulting in a contemporary classic straight from the start. The 20052 with its 41mm case is produced with the utmost precision from a solid lump of high-quality stainless steel enabling a perfect fit around the wearer’s wrist. 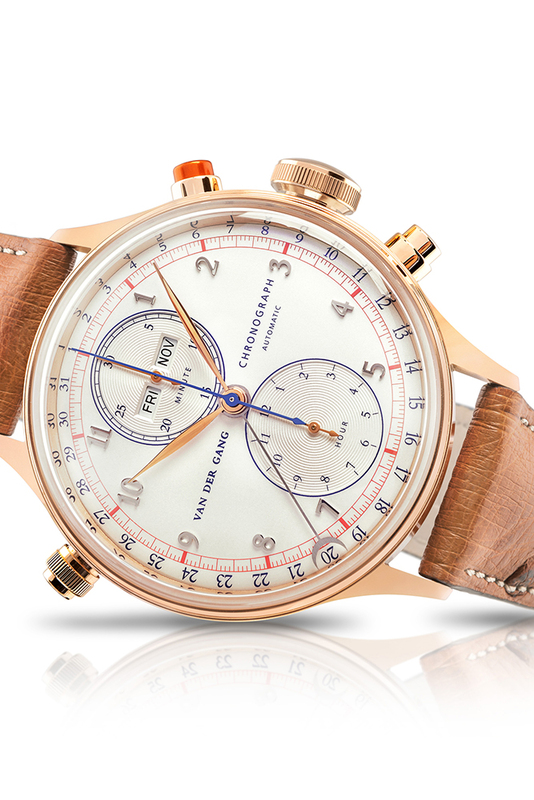 During the development of the 20052, we’ve explicitly focussed on the request of our clients to develop a watch with a considerably lower case. 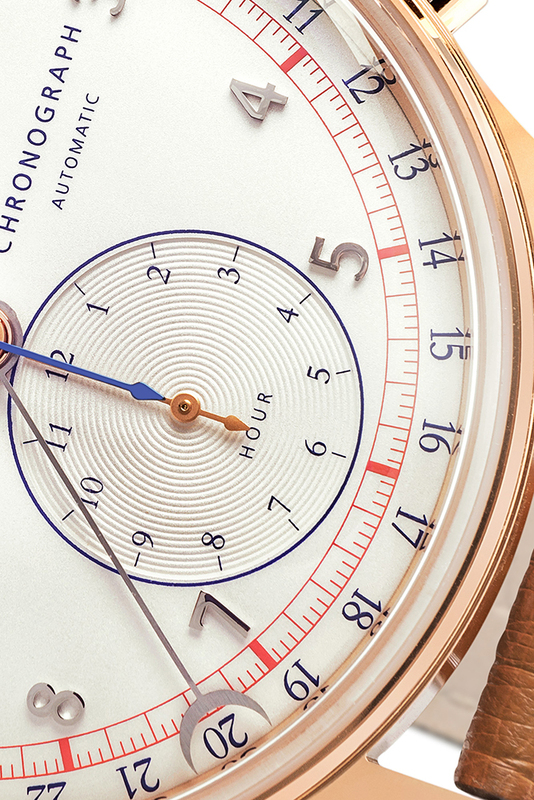 The case, its spherical sapphire glass, and curved dial result in a balanced and sleek design, perfectly characterizing the Van der Gang philosophy. 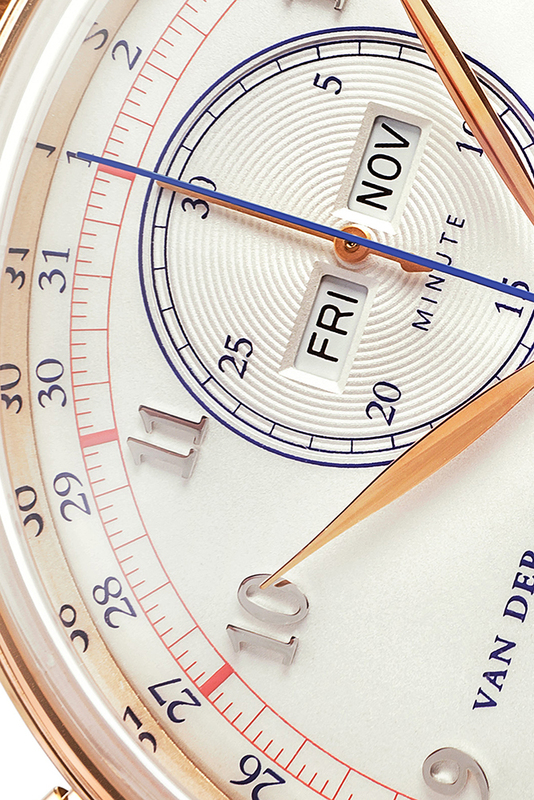 Because of this, the 20052 has become the perfect dress-watch within the Van der Gang family. Because of the great success of the steel version now available gold, limited series. So perfectly made, Dutch craftsmanship on its best!